I needed to sell my House. I called a phone number I saw on a sign and talked to Peter Westbrook. 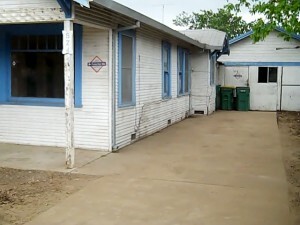 The City of said that they were going to take away my vacant house, knock it down and send me the bill to do it. I did everything that I could to try to make them happy. A neighbor offered to buy the house and then Peter offered me twice as much. He did everything he said he would do and I just had to go to the Title Company and sign the papers. He did all of the work and now the City is his problem. Thank you Peter. 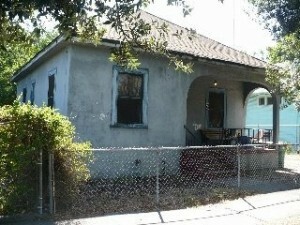 I inherited my Fathers Sacramento house. 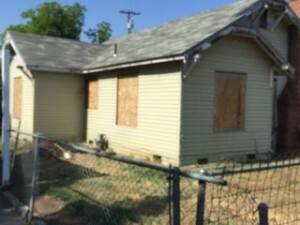 The front porch was falling in, the walls had holes from being vacant and vandalized. The City fined us, red tagged the property and forced us to put on a new roof so we had to get loans and we still couldn’t rent it out.